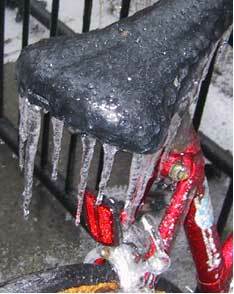 A new definition of icebiking! 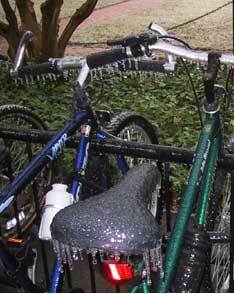 These frozen bikes were photographed in Columbia, SC during a recent ice storm. 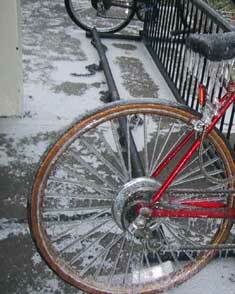 The rain would come down and freeze into instantaneous icicles! 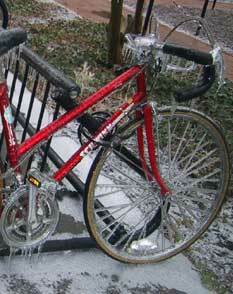 Really an interesting transformation, although it would be a bit tough to ride, not to mention the iceskating rink streets! Here's to the beauty of mother nature.